COMMENTS: These bands add a professional touch to packaging. Easy to use. I will continue to purchase. COMMENTS: these shrink bands work wonderfully! I use them on all my 4oz straight sided jars. COMMENTS: Perfect fit on the jars/lids. Gives a professional look and I love that no one can open the container and contaminate my products. COMMENTS: I used this shrink wrap for my salt scrubs. Works perfect! COMMENTS: these finally make my products look professional! so glad i bought them! 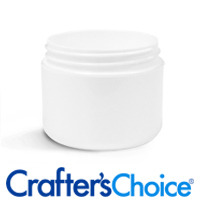 COMMENTS: These work great for my small salt scrub jars. Perfect fit! COMMENTS: Fit perfectly and are of great quality! COMMENTS: Great shrink bands, works great. "SO easy to use......so awesome!" 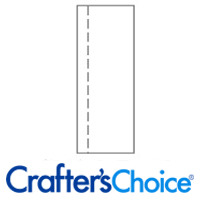 COMMENTS: This is my 1st craft show with my product line...I've used my 'test bunnies'(human family members)to test my products and it's time....so I found the 2 oz jars here(love them) and got these bands per the suggestion. 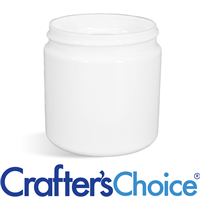 SO easy to use, and SO professional looking....Love that it has the perforated band....I labeled the top and bottom of this jar and it works really awesome with the round labels I used....I was using 'other suppliers'...not any more. I got all my jars, caps and bands from here and I am excited about the new 'partnership'. 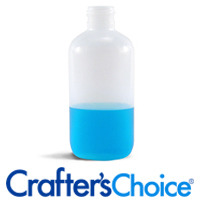 COMMENTS: I used this to ship my sugar scrubs and they got there with no problems!!! COMMENTS: I like the shrink wrap. You just have to try a few to get it just right, I used my blow dryer to heat up the plastic. COMMENTS: I love these little things. Perfect fit for several items. COMMENTS: I use these bands on my mini bath bombs and they fit perfectly on my dino surprise eggs too! 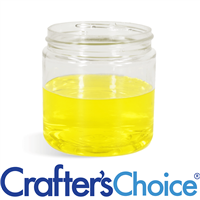 COMMENTS: These are great to seal the finished jars especially when selling in a store. Love them! COMMENTS: I used these for my low profile jars. They're excellent. COMMENTS: I got these to go on my 4oz foaming sugar scrub jars. The fit was great and they were easy to use. Customers have told me that they like the layer of protection that the band supplies, so they know no one has opened them. I also love the fact they are perforated for easy opening! COMMENTS: I use them to seal my lotions, they work very well. 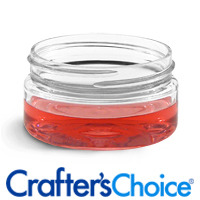 "Used for my sugar scrubs jars"
COMMENTS: These shrink bands are very nice quality! COMMENTS: Super easy to use, love this shrink band. 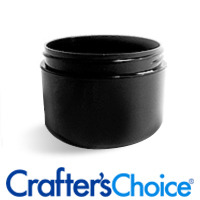 COMMENTS: These are great for adding that professional touch to my jars. "Shrink wrap bands for 40 jars. Perfect!" 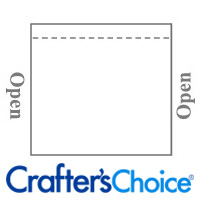 COMMENTS: What a perfect way to let your customer know that they are receiving a safe and unaltered product! 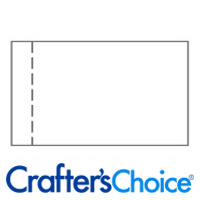 These shrink wrap bands are easy to use and make your products look even more professional. • Perfect sizing for my jars. • I would not change one single thing! COMMENTS: Works great and looks so professional! COMMENTS: Use for multiple items. 4 oz jars, sample soaps and lid sealing. Works great and perfect with a hair dryer! COMMENTS: This shrink wraps are awesome. Really easy to use and will give the product a much more professional look. Will definitively buy again. COMMENTS: WSP's shrink wrap always fits as promised. COMMENTS: I use shrink bands on all my jared items. I love the added security they provide. COMMENTS: I love the shrink wrap bands - they add security to the product(no matter how many signs you have, folks seem to overlook the samples and open the products)and they are very easy to use. I tried with both a hair dryer and an embossing heater and both work really well (the embossing heater can get too hot but I have never had an issue with the hair dryer). 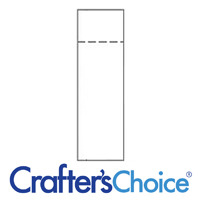 I have ordered them for all of my containers from lip balm to jars to bottles. COMMENTS: These work great for my jars of body butter! "Shrink Wrap 95 x 55 - Multipurpose, durable!" COMMENTS: Love WSP Shrink Wrap Bands. This size I typically use for bath bombs. They work great and leave a small opening on 2 sides of the product for customers to smell, while still protecting the product! COMMENTS: Perfect for bath bombs and smaller items. COMMENTS: Fits perfectly and easy to use with just a blow dryer. My scrubs were leaking during shipping so I switched to using the press and seal liners instead of shrink bands. COMMENTS: I didn't know if I would actually need them when I ordered them. 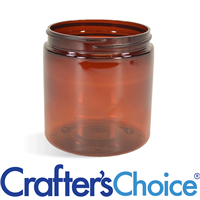 The fit snugly on the jars and with a little bit of time with a heat gun they tighten up and look perfect. The customers feel much more secure about our products as the look sealed and they have the assurance that no one has opened or touched the product. COMMENTS: I love how simple and easy to use these are. They just need some heat applied from a standard hair dryer and fit nice and snug. They give my customers piece of mind and allow me a way to take returns! 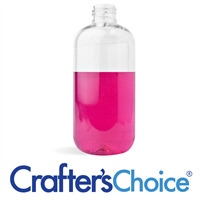 "Most important Easy to use keeps product safe"
COMMENTS: Perfect for my 4oz jars! COMMENTS: All of the shrink bands are a must have to keep product safe from testing - keep it clean and presentable. My customers appreciate the fact that I've taken the extra step to seal my products for their safety. It is time consuming but I'm a slow worker. They are very easy to apply. They shrink perfectly around my jars, soaps, etc. and are very easy for customers to remove later. These bands have a 'zipper' that you pull and the band comes right off. Great stuff! COMMENTS: These add a professional look to all my jars! I absolutely love the look and ease of use! Will definitely keep buying these! 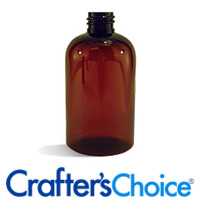 COMMENTS: I use these to shrink wrap lotions and scrubs in the 2 oz Clear Heavy Wall Plastic Jar - 58/400 jars. They do the job, though it took a few tries to get them to sit how I wanted. 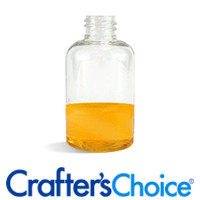 COMMENTS: These are good for 4oz basic jars but they could be a bit longer. COMMENTS: We use these for the 2 oz lotion bar tubes. They are a little large but shrink to fit. Easy to overheat if using a heat gun because they have to shrink quite a bit. 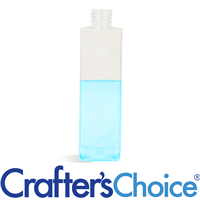 "Great for 4 oz. jars"
COMMENTS: I love using shrink wrap bands on my products, mainly because they protect the product from customers that tend to open the jar and sample the creams. But they also give the product a professional look. COMMENTS: Fits perfectly on my smaller bath bombs! "good for sealing the jars"
COMMENTS: I originally bought these for the 8 oz amber boston round bottles to seal the lids. You can't even touch the lid with these. These were recommended for that bottle, but what is the purpose of sealing a bottle, if the lid is not sealed? So I used them on the 4 oz amber jars, and they are perfect for them. I cut them in half long ways, and get 2 jars per sheet. It looks much more professional than using a piece of tape. COMMENTS: These are great for the jars I have. I can actually cut them in half to double the uses! COMMENTS: All the shrink bands I have purchased from WSP have been wonderful and exactly what I needed. Thank you! COMMENTS: We use these on our lotion bottles... an extra precautionary measure for tamper resistance, plus they help to prevent leakage. 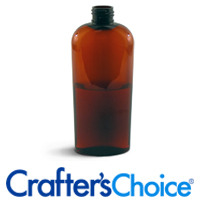 To date, we've had no leakage on any of our lotion bottles. The bands are easy to apply and very easy to remove, due to the perforation. We'll be buying more! WSP Response: We do recommend this size band for the 4 oz. white double wall jar. The next size up, 115 x 55, will fit but there may be too much excess when shrunk down to fit. COMMENTS: These bands seal nicely. I use a heat gun on low. They look very professional and sanitary. COMMENTS: Nice shrinkage, doesn't crinkle or tear. COMMENTS: These bands fit perfectly around my 2oz container tops. One other note, I cut the band in half and ha the other half for another container. I will definitely purchase more when I run out. COMMENTS: Gives my new body butters a clean and professional look. COMMENTS: This product is great and the finished result - when done correctly - is very professional. 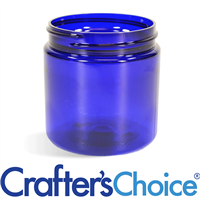 I love the size for the low profile 8 ounce jar with 89mm lid - absolute perfection! The size recommended for the 70mm jar is a little too snug and requires too much effort to get onto the jar. I am going to try a slightly larger size to see if it will work without sagging. I am also trying to figure out an efficient way to get these onto jars quickly and efficiently. Does anyone have a secret? COMMENTS: The shrink wrap bands make my products look more professional while protecting my labels from water damage. COMMENTS: Love this shrink wrap - easy to use! COMMENTS: Great fit and shrinks perfectly. COMMENTS: love these and the fact they fit my lotion tubes..will reorder.. COMMENTS: I love these and how they make my products look so much more professional. COMMENTS: My biggest pet peeve is when someone sticks their nose into products or scoops some out and puts it back on my table, this helps prevent that. There is a reason I have testers on my table! COMMENTS: I'm glad the person I talked to in your customer service mentioned these bands to me. They really finish off the packaging. I wouldn't buy a product in a department store without being sealed, why would I expect anyone to buy my products without a seal. COMMENTS: These are super! They add a whole other dimension to your products. I get complimented all the time for having them on my lotion jars. People feel so much better knowing that the product is fresh and hasn't been opened to smell or try on by someone else. 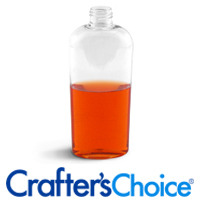 The price is very affordable and they shrink right down around the jars with very little effort. I recommend them to anyone selling products in jars! "Shrink Wrap Bands - 95 x 55"
"Perfect Size and Easy to use"
COMMENTS: These are so easy to put on lip gloss tubes, and customers have not complained at all. I use Shrink Wrap bands of all sizes and love them as they make sealing items so much easier, I always know it an items has been opened. COMMENTS: I used these bands on my 4oz jar of body whips. It made them look professionally sealed. I love them. Easy to use; just slipped them over the bottom of jar. Love Love Love!!! COMMENTS: must have to prevent product tampering. "What is the thickness/gauge of your shrink wrap band 95mm x 55 mm? Are the rest of the bands the same gauge?" "Can I shrink this with a hair dryer or is a heat gun necessary? " Staff Answer A hair dryer is a great way to shrink the shrink wrap bands! Just make sure to keep the hair dryer far enough away as to not melt your product. "Just to clarify does this fit on the 1.75 bath bomb without the mold, just straight on the bomb itself? " Staff Answer Hi Tracy - The 95 x 55 shrink wrap bands works great on the bath bomb in the mold. If using on a bath bomb only, the top and bottom would be slightly exposed. 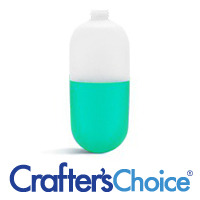 "Is this what I would use to package 1.75" bath fizzies? " Staff Answer We recommend the 95x55 Shrink Wrap Bands for our 1.75" Bath Bomb Ball Molds. Our 102x102 Shrink Wrap Bands are just too bog. "What size shrink wrap bands would work best for deodorant tubes???" 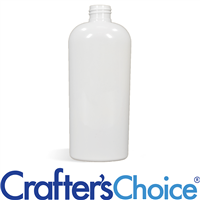 Staff Answer For our 2.25 oz White Lotion Bar Tube & Top - Dial Up, the 80 x 55 Shrink Wrap Band works best. "What lid size(s) does this fit best?" 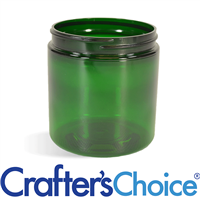 Staff Answer The 95x55 shrink band fits mainly the jars with a 58/400 lid size. To best check sizes for our shrink bands, place 95x55 in the Search Box and all pertinent products will be listed for you.